Here’s a nice project which is sure to get TV lovers making. 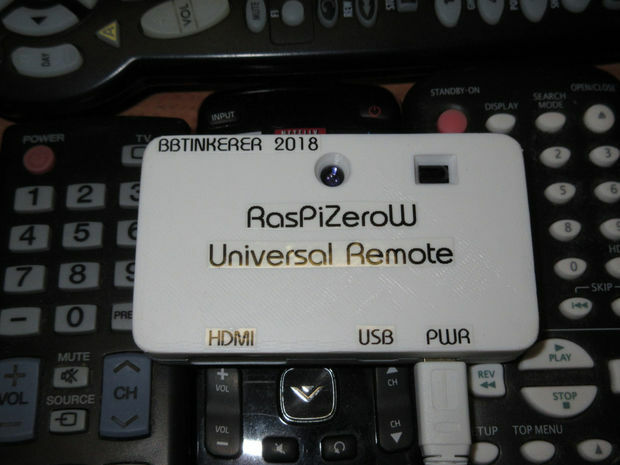 BBTinkerer has taken a Raspberry Pi Zero W and some simple circuitry and wrapped it in a nice enclosure. This Pi device has been programmed to generate IR codes to control an AV set-up and it does so with a programming library called LIRC. He’s then created a web UI for the device which can be accessed from a mobile phone, thus enabling him to control his television from his phone. You can read the (extensive) instructions on how to do it yourself here.